Cystic Fibrosis: "I'll Squeeze Every Drop Out Of Life"
Yesterday I posted about Rob Law, inventor of the ride on Trunki suitcase, who was born with Cystic Fibrosis. In the video included in my post, Rob talks about how his twin sister lost her battle with CF when she was just 17. Now in an interview with the Mail he shares more about how he battles with the crippling illness every day, but is determined to squeeze every drop out of life before the disease can claim him. Rob Law and his girlfriend Kathryn Bristow giggle like children as they race across the living room of their Bristol flat atop their Trunkis – the quirky ride-on wheelie suitcase that Rob created for children reluctant to carry their own luggage. His invention was famously panned as ‘worthless’ on the BBC’s Dragons’ Den but went on to sell by the shed-load, and Rob’s company now produces a whole range of suitably outlandish travel accessories for youngsters. His firm has an annual turnover of more than £6 million. He’s clearly in touch with what children want, and one might expect this young couple would be thinking about starting a family of their own. Yet this is something they know will be extremely difficult, and it is a subject that they find almost impossible to discuss. 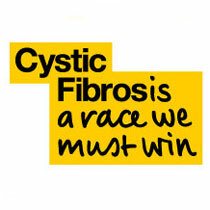 Rob has cystic fibrosis (CF), a common genetic condition that causes myriad health problems – including infertility – and sufferers, on average, do not live beyond 41. CF is caused by a single defective gene which causes the internal organs, especially the lungs and pancreas, to become clogged with sticky mucus, resulting in chronic lung and digestive problems. The reproductive systems are similarly affected, meaning IVF is usually the only option for conceiving. The couple simply say they have ‘no plans’ to start down this arduous path at present. Often, patients can spend prolonged periods in hospital, where they have to be isolated from others to avoid further infections. But, once again, Rob is defying the odds. The 36-year-old entrepeneur, who is a keen runner and triathlete, is in extremely good health. He hasn’t needed significant treatment – bar his regular medication – for years, a testimony to his devotion to fitness, which doctors now know is key to fighting the illness. His close friends and his 30 employees know that he has CF, but he has never spoken publicly about his condition until now. It’s a reticence that, no doubt, has been compounded by the fact that the disease took the life of his twin sister, Kate, when they were just 17. The deep wound caused by this loss is still fresh. But, prompted by a desire to help raise awareness of a disease that affects about 10,000 people in the UK, Rob has decided to speak out about his experience. Rob’s parents, Carol and John, had no idea that the CF gene ran in their family until their twins were born a month prematurely on Carol’s 30th birthday in August 1977. A few weeks later, having failed to gain any weight, they were diagnosed with CF and so began the daily regime of medication to help fight infection and assist the body in absorbing nutrients from food, plus 30 minutes of physiotherapy morning and night to help clear the mucus from their lungs. ‘CF sufferers can’t absorb fat so in the early days we couldn’t have any fatty foods,’ says Rob, whose younger brother David, 27, doesn’t have CF. ‘Then, when we were about ten, a drug called Creon was launched which replaces the digestive enzymes the pancreas isn’t producing, helping the body to digest nutrients. ‘Suddenly, Kate and I were able to eat a full-fat diet and encouraged to do so in order to gain weight. Until then, we’d never tried crisps, chips or chocolate. ‘Mum and Dad wanted us to have as normal a childhood as possible, encouraging me to run, join the Scouts and go camping, even though the damp and cold were a risk to my lungs. 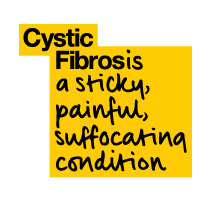 Many CF sufferers of Rob’s generation didn’t make it to adulthood – and, tragically, Kate was one of them. A serious lung infection when she was four left her needing frequent hospital care, and at 17 she had a full heart and lung transplant. ‘Like all transplant patients, she took drugs to try to prevent her body rejecting the organs but it wasn’t enough,’ says Rob, clearly still so overwhelmed he has to stop to gather himself. I was away on a school engineering trip in Loughborough and Kate was in Great Ormond Street Hospital. ‘Dad called and his voice broke as he told me Kate wasn’t going to make it. My teacher drove me straight to London. But by the time I arrived, it was too late. Her life support had been turned off. ‘There was nothing anyone could say or do to console me. My clearest memory is how completely devastated my usually strong Mum was. ‘She’d always been such a driving force in encouraging Kate and me to live normal lives and never to feel sorry for ourselves. Rob went on to study product design at university in Newcastle, where he created the Trunki in 1998. Eight years later he appeared on Dragons’ Den. Since then he has had huge business success. But it has been a challenge: as a result of long hours and frequent flights to America, Hong Kong, China and Germany, his medication routine can slip. He coughs throughout our interview, having flown home from New York 24 hours earlier. Recycled air in plane cabins can be rife with bacteria, leading to infections. Within a few days, Rob says, he will be back to normal and coughing much less. Dr Diana Bilton, a leading consultant in CF at the Royal Brompton Hospital in London, explains how treatments have advanced to such a degree that many of the serious illnesses that once laid CF sufferers low are now avoidable. She says: ‘We have an increasing number of people over 30, 40 and 50 with CF who’ve looked after themselves and are living longer. ‘We can spot and treat infections quickly with inhaled antibiotics, which have been a major advance. They get straight into the lungs without the long-term complications of intravenous antibiotics. Rob and Kathryn met seven years ago in a nightclub in Bristol and he admits it was tricky to know how and when to tell her about his condition. But when it came to it, a couple of weeks later, she was one step ahead. Rob lays out his medication on the table before us. On a daily basis he takes Creon every time he eats, an antibiotic tablet, and an inhaled antibiotic called tobramycin, plus vitamin supplements, and other antibiotics as he needs them. A small, inhaler-like device called a flutter has replaced the traditional treatment of banging the chest with the hands. Rob breathes into his flutter for 30 minutes twice a day to create the vibration needed to clear the lungs, meaning there’s less for the bugs to stick to. Cardiovascular exercise, such as jogging, is known to help keep the lungs clear by further mobilising the mucus so it can be coughed up. And medics are tentatively suggesting that moment may not be far off. ‘Cure’s a difficult word but we should be very excited,’ Dr Bilton says. ‘A pharmaceutical company called Vertex, partly funded by the American CF Foundation, has got very clever at working out what the different mutations in the CF gene mean for different sufferers and how those defects can be corrected with drugs. ‘We’re talking about tablets people would take for life that may prevent the lung damage that leads to early death. We could be just a few years away from that now. ‘If you’re already 30 and you’ve got damaged lungs, you’re not going to reverse the damage. This year I am trying to complete 2013 miles self-powered miles. It is has been 10 years since my cousin’s son Adam lost his fight with Cystic Fibrosis. Adam was just 18 years old when when he lost his lifelong battle with CF, the UK’s most common life-threatening inherited disease. Despite spending large parts of his short life in hospital Adam never once complained, not even of a headache and like Rob Law, was determined to make the most of everyday.